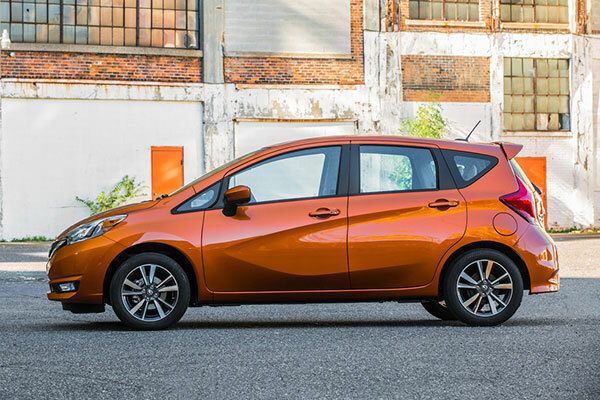 The five-door 2018 Nissan Versa Note hatchback competes most closely with the Honda Fit and Toyota Yaris hatchback. It uses the same 109 horsepower 1.6-liter four-cylinder engine as the Note Sedan, but unlike the sedan, a manual transmission is not available. There’s 18.8 cubic feet of cargo space behind the rear seat and 38.3 cubic feet with the seat folded down. 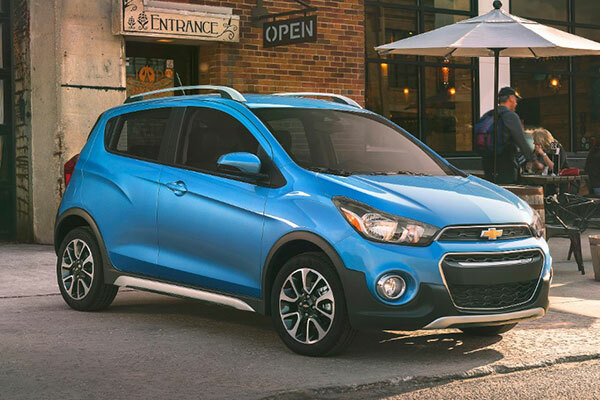 The 2018 Chevrolet Spark is one of the least expensive five-door hatchbacks. 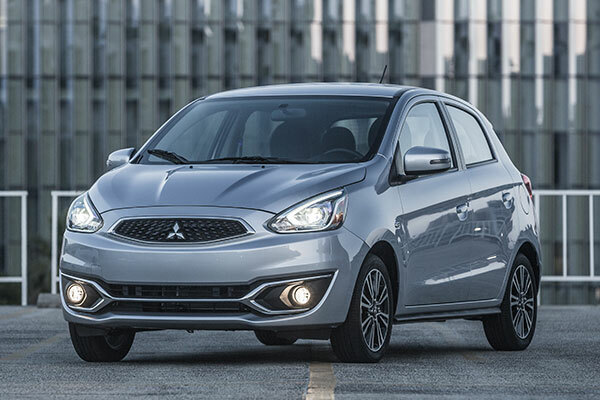 The Spark’s naturally-aspirated 1.4-liter four-cylinder engine produces a scant 98 horsepower. While it might sound like the Spark is underpowered, it’s fun to drive in town. 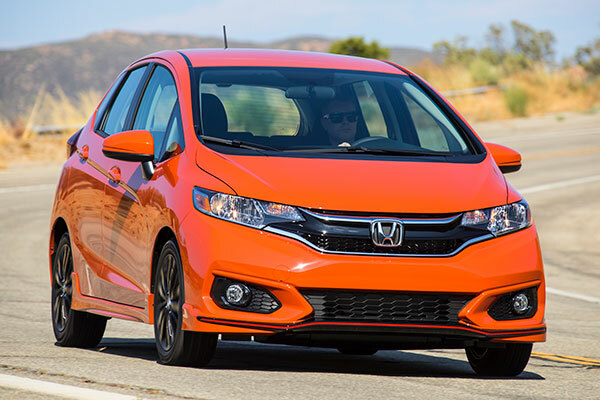 It’s available with a five-speed manual or CVT automatic transmission. Hauling capacity is limited. There’s 11.1 cubic feet of cargo space behind the rear seat and 27.2 cubic feet with the seat folded down. The new SparkACTIV model (shown above) sports a crossover-like persona. Chevrolet also offers the slightly larger Sonic subcompact as a five-door hatchback and four-door sedan, starting at $15,295. 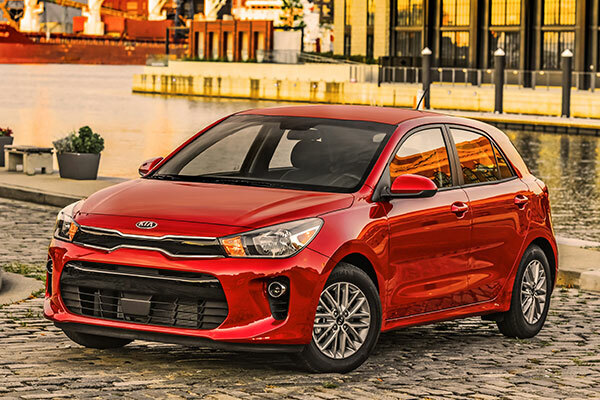 The Kia Rio was redesigned for 2018 and has enjoyed a warm reception in both four-door sedan and five-door hatchback form. 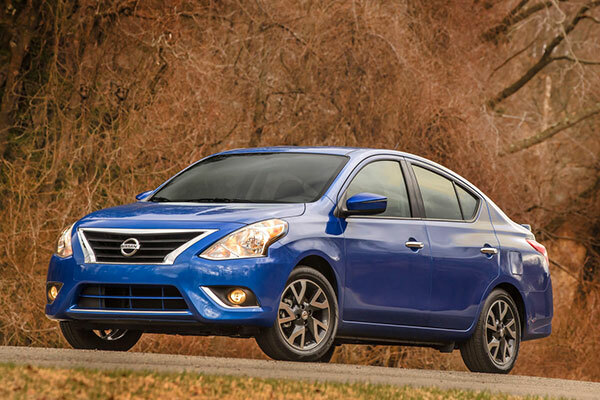 The Rio’s 130 horsepower 1.6-liter four-cylinder engine is offered with a six-speed manual or automatic transmission. The range-topping Rio EX ($18,400) includes a seven-inch touchscreen with Apple CarPlay and Android Auto support. The trunk provides 13.7 cubic feet of cargo space. 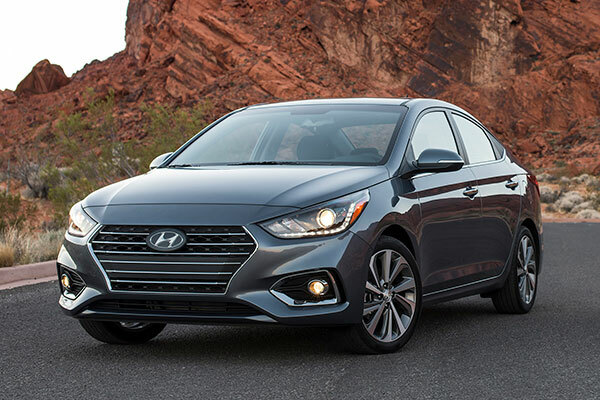 The redesigned 2018 Hyundai Accent sedan is a significant step up over its predecessor and delivers plenty of bang for the buck. The 1.6-liter naturally aspirated four-cylinder engine produces 130 horsepower and can be mated to either a six-speed manual or automatic transmission. The trunk provides 13.7 cubic feet of cargo space. 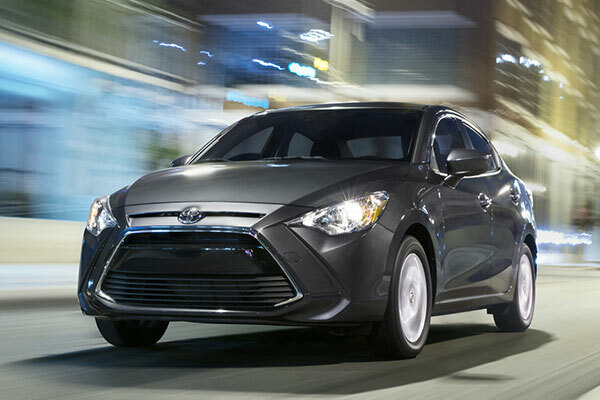 While the five-door hatchback 2018 Toyota Corolla iM is the most expensive hatch on KBB’s list of cheapest 2018 cars, it includes advanced safety technology as standard equipment. It’s equipped with a 137 horsepower 1.8-liter four-cylinder engine, which is the largest and most powerful engine on the list and is available with either a CVT automatic or six-speed manual transmission. You’ll find 20.8 cubic feet of cargo space behind the rear seat. 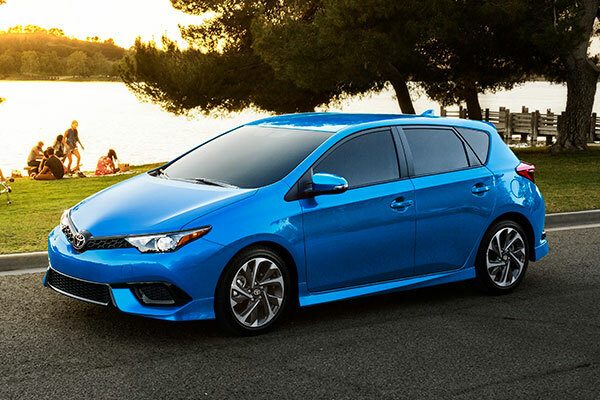 The iM is due to be replaced by the 2019 Corolla Hatchback. With auto manufacturers advertising expensive hybrid, diesel, turbo & supercharger cars giving the best MPG, its great to know that cheap cars can still get excellent MPG, also. Again, auto transmissions are advertised to get the same MPG as manual transmissions on the 70mph freeway. In the case of OUR TWO Hyundai Elantras, the manual is geared lower than the automatic. Given lower speed roads (country or mountain), the manual Elantra gives better MPG, accelerates better than the auto(that’s fun some times), but the easy shifting 6speed manual is most fun to drive economically, passing up gas stations. 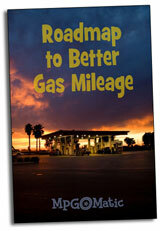 Plus, I turn the manual into a semi-automatic by skipping gears, which leads directly to longevity. 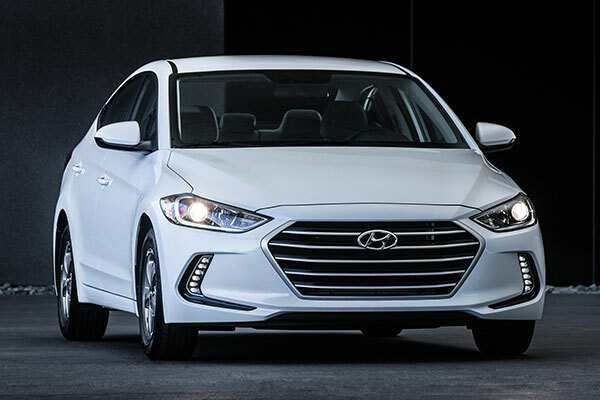 Great article, I love the new Elantra sedan. Another tip for getting a good deal on a car is to have a look around on government auction sites.